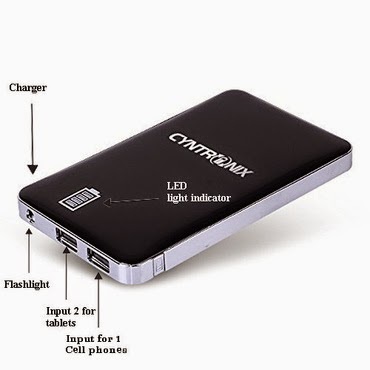 Cyntronix 9000mAh External Battery Portable Dual USB Charger. Fast Charging, Compact and Stylish with High Capacity For Apple iPhone, Galaxy, Android, Smart Phones, iPad, iPod, Tablets, HTC, GoPro. 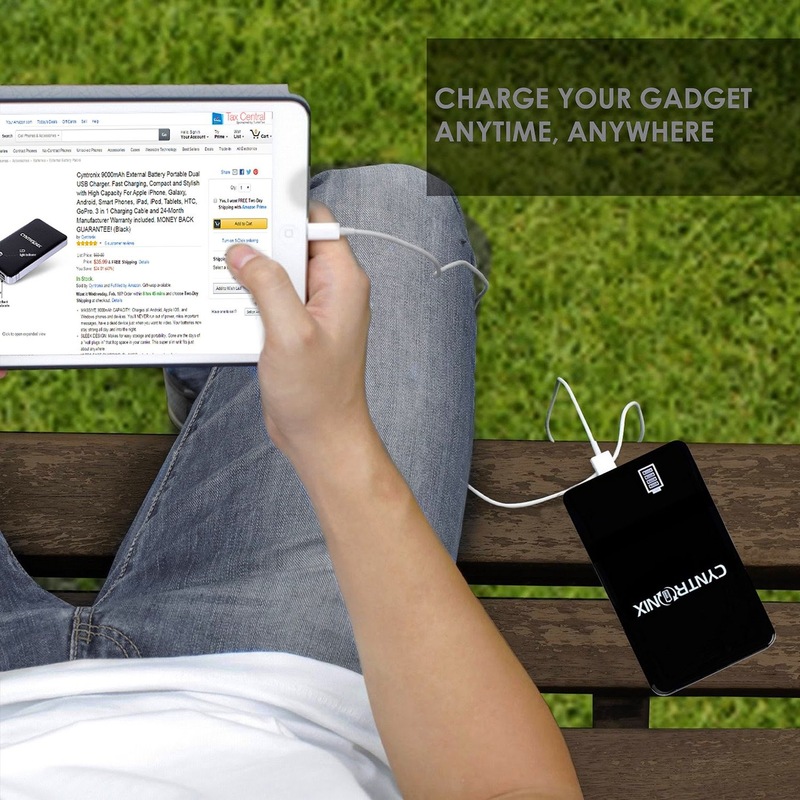 3 in 1 Charging Cable and 24-Month Manufacturer Warranty included. MONEY BACK GUARANTEE! 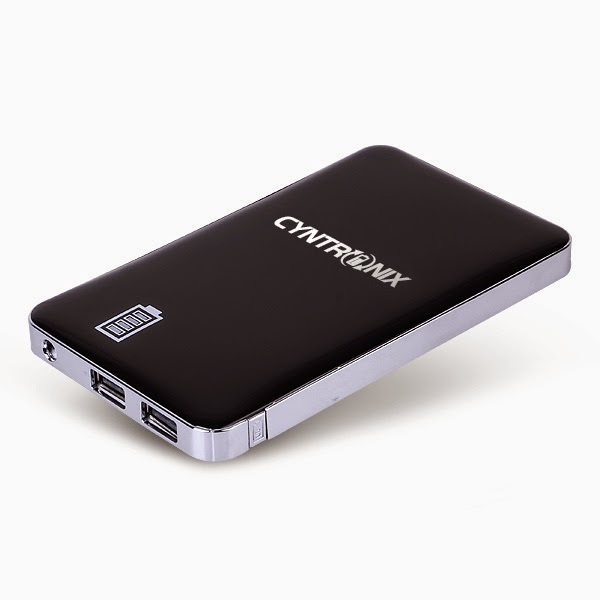 MASSIVE 9000mAh CAPACITY: Charges all Android, Apple IOS, and Windows phones and devices. You'll NEVER run out of power, miss important messages, have a dead device just when you want to video. 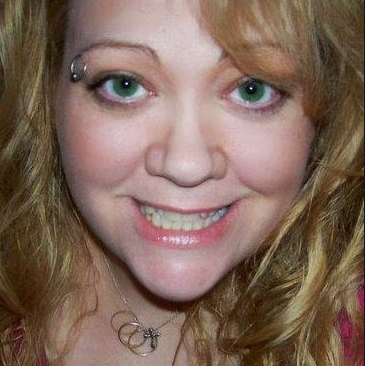 Your batteries now stay strong all day and into the night. SLEEK DESIGN: Makes for easy storage and portability. Gone are the days of a "wall plugs in" that hog space in your carrier. This super slim unit fits just about anywhere. ULTRA FAST CHARGING: Dual USB outputs charges two devices simultaneously. Free Cable included! Now charge everything you have TWICE as fast. Plug in your phone AND tablet and get the job done at the same time. OPTIMAL POWER: With 500 battery charge cycles makes charging much faster than previously. All while being completely SAFE for all your devices. Improves the life of batteries, too! DOUBLE TESTED: To ensure product integrity, 24-Month Manufacturer Warranty MONEY BACK GUARANTEE! You can't lose with our proven design and iron-clad warranty. You LOVE it or we refund your money. CHARGE TWO BATTERIES at ONCE! This ingenious new design is a real lifesaver for anyone with a phone, computer, iPad, etc. 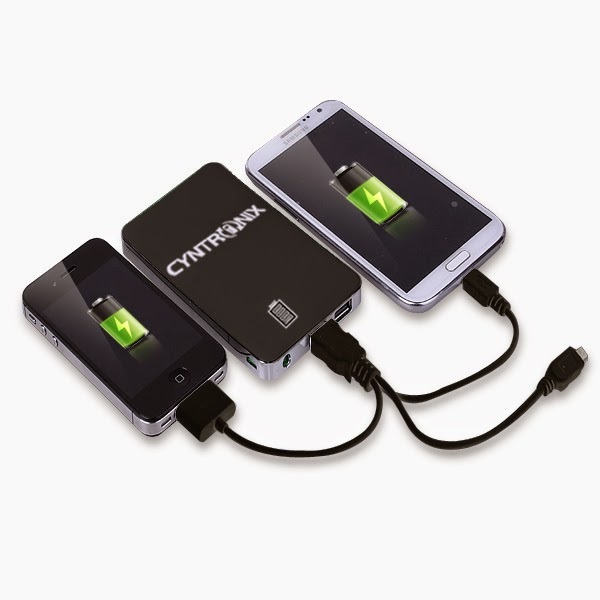 Simply plug in TWO devices at the same time and recharge batteries FAST with cutting-edge technology. Just what you need for trouble-free travel or business use where ALL your devices need to have plenty of charge all day and night. Works perfectly with a huge variety of devices. Money-back guarantee makes this a WIN-WIN for YOU! 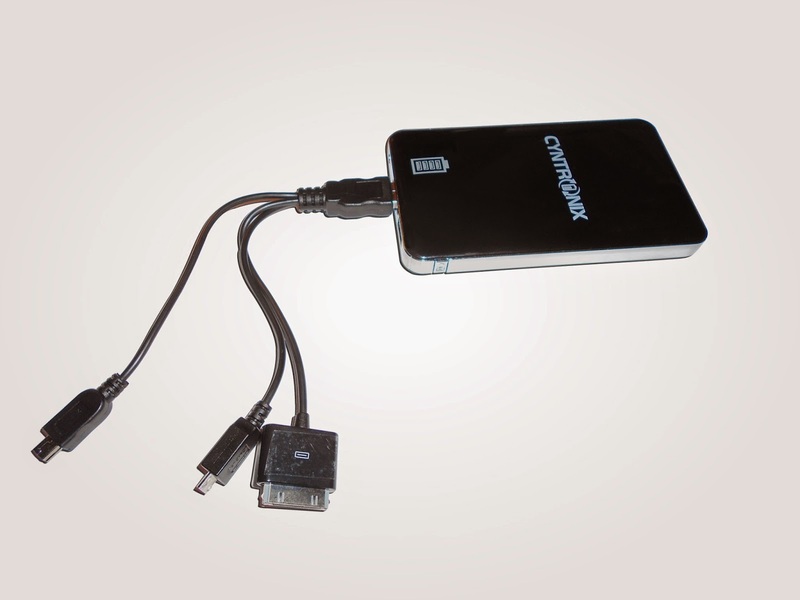 -Compatibility: Suitable for all cell phones and digital device with a USB cable connector. 24-Month Manufacturer Warranty Money Back Guarantee! 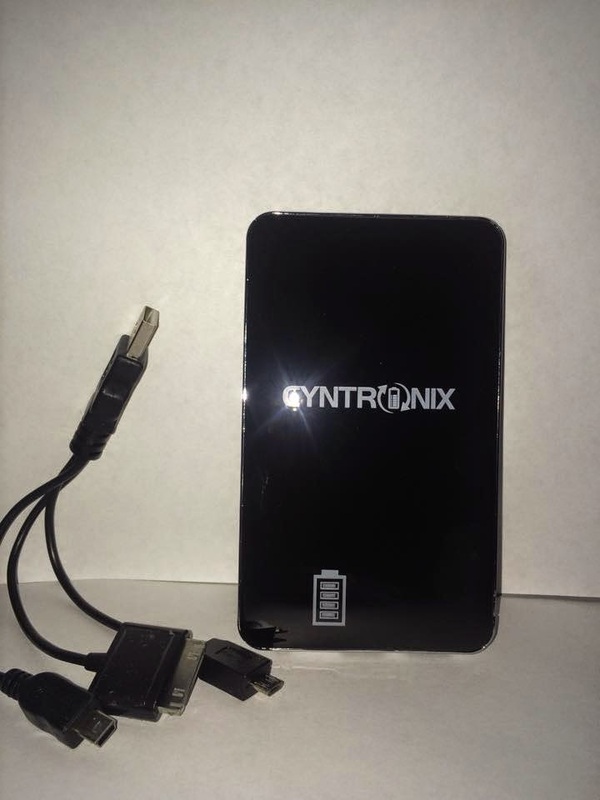 I am happy to get to try this Portable Battery Charger by Cyntronix! After opening the package, everyone sitting around said "WOW" This is a really nice looking portable battery charger! It looks like an iPod, very shiny, super sleek and the charging cable is fabulous with its 3 different sized connections. 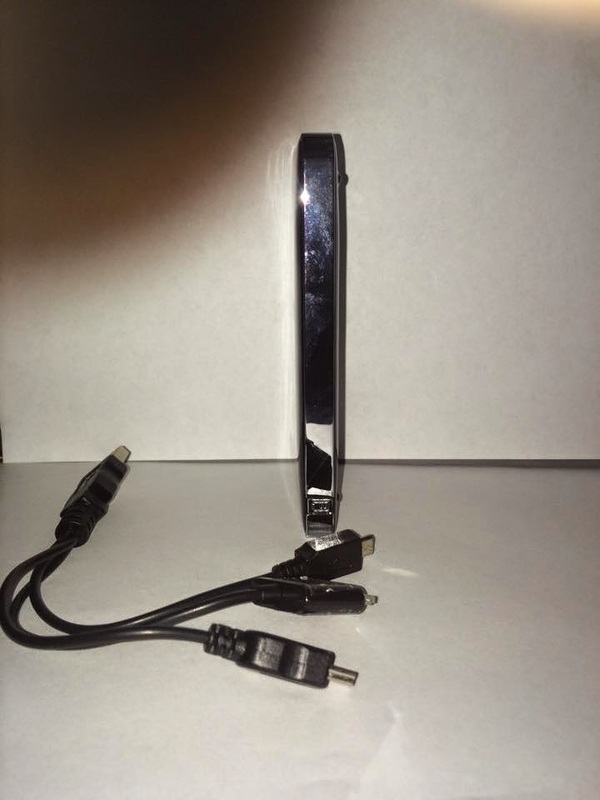 It charges fast, has tablet, computer and phone ports and fits nicely anywhere I put it. You can charge 2 devices at once! Everyone wanted to try it after seeing it and I don't blame them, it is really handy and a very useful portable battery charger!